First, we folded a piece of tagboard in half. 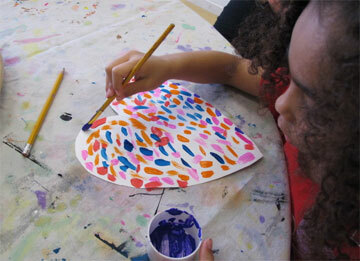 Students traced a heart-half stencil then cut the shape out. This is a challenge for the younger but they all did a great job! 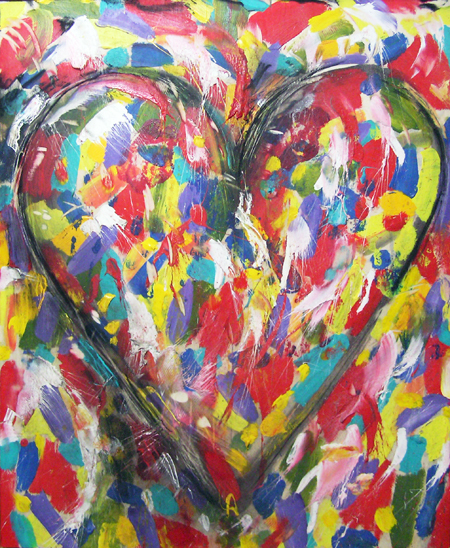 Next came the painting... I used a timer & the rule was that each child had to take turns and use ONE color for ONE minute. 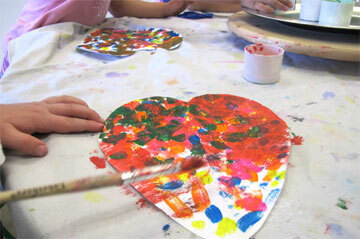 This really helped them make small dabs with their brush & distribute the paint all over their heart. 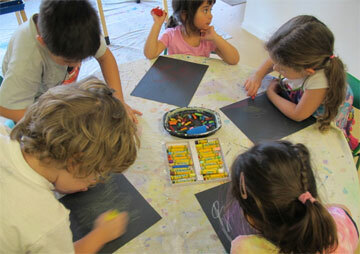 The final step was to decorate their black background paper with oil pastels. I asked the kids to cover the paper (especially the edges) with "Scribble Scrabble". They were all very excited to hear the term & show me how well they could scribble. The project still left room for personal expression. Entry filed under: Art Classes. 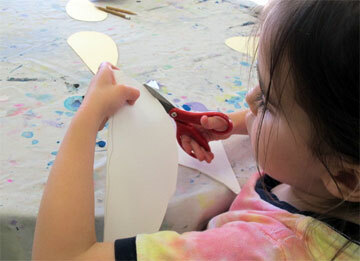 Tags: art materials, class, holiday, Jim Dine, Little Picasso's, Valentine's Day.